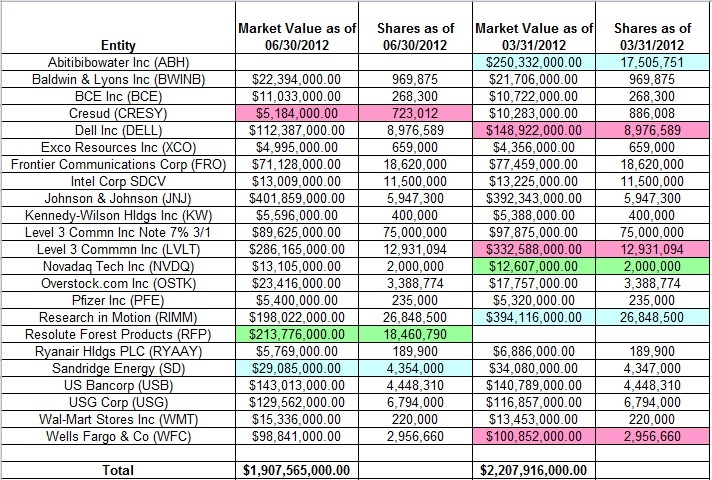 The portfolio size came down from around $2.2B to $1.9B as a result of some of his large stakes going down in value. There is a new position named Resolute Forest Products (RFP) but that is just a rename of Abitibibowater (ABH). Other than that, the only changes were an almost 20% stake reduction in Cresud (CRESY) and a marginal stake increase in Sandridge Energy (SD).